With the Rambler™ 20 oz. 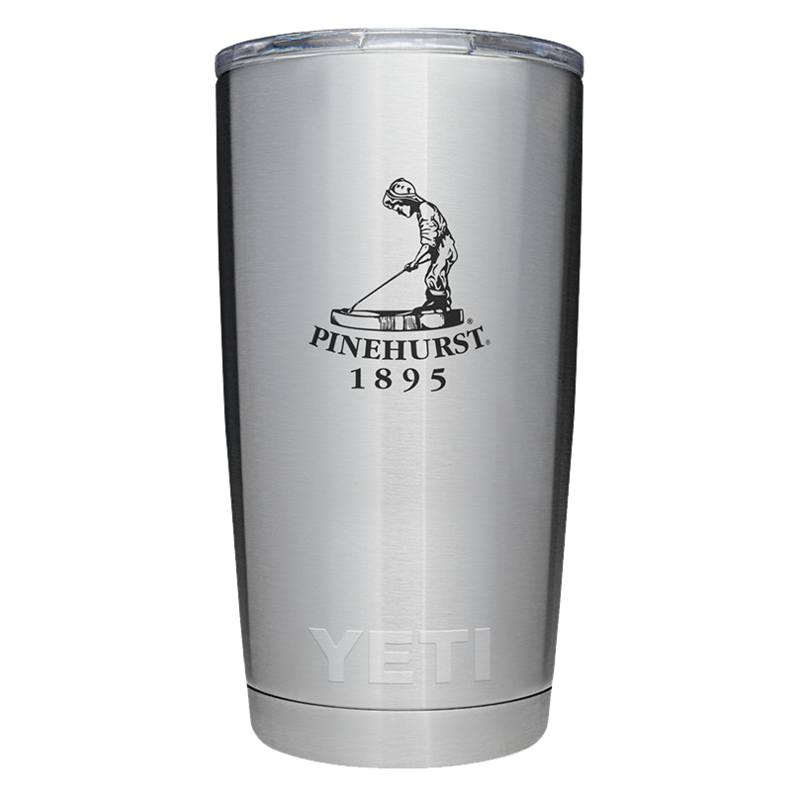 Tumbler, engraved with the iconic Pinehurst Putter Boy, your beverages will stay ice cold or piping hot longer. We over-engineered these double-wall insulated tumblers with an 18/8 stainless steel body, which means your drink still keeps its temperature no matter how much of a beating this cup takes. They’re BPA-free (obviously), have a No Sweat™ Design to make sure your hands stay dry, and are dishwasher-safe. Plus its crystal-clear lid lets you check your drink status in a flash. Refill, anyone?